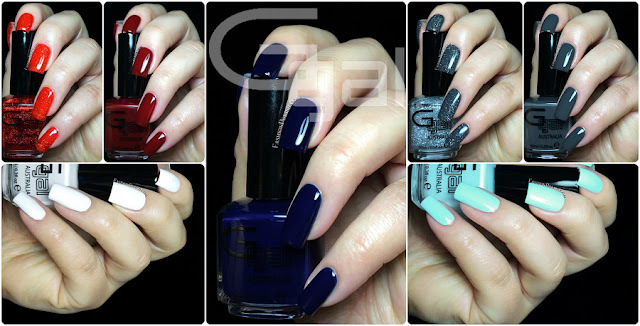 Fashion Polish: Glitter Gal Holiday in Oz Collection & bonus Gloss Boss! 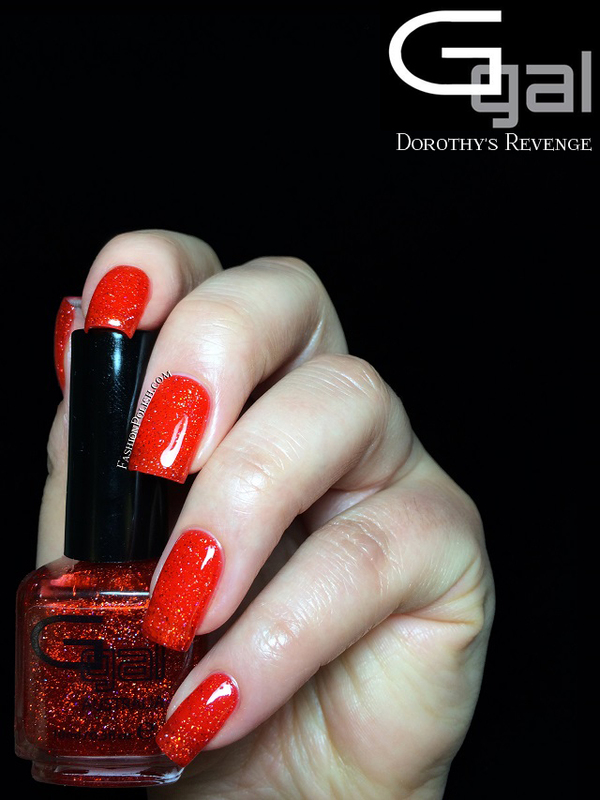 Glitter Gal Holiday in Oz Collection & bonus Gloss Boss! So... Today I have some new Glitter Gals to show you : the Holiday in Oz Collection, which consist of 5 "cremes" and 2 holo toppers, but also the new Gloss Boss topcoat! White Pointer is a crisp white creme/crelly. I needed 2 coats to achieve full opacity but they required slow and careful application. I'd say it's more of a 2 to 3 coater. Bluemerang is a very pale baby blue creme/crelly with the exact same finish and careful application as White Pointer. It's a very delicate color to wear though. Two careful coats are shown here. Big Smoke is a beautiful dark grey creme/crelly. This is the perfect shade of grey for me, perfectly well balanced and not so dark that it looks black in low lighting. Formula was much easier to work with, a true 2 coater. 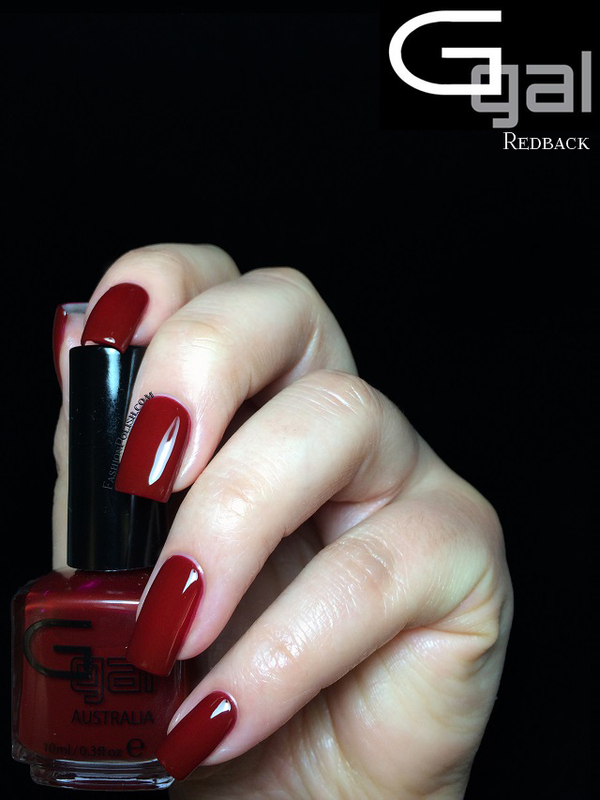 Redback is a deep "bordeaux" red jelly/crelly. It's the kind of red that darkens the more coats you add. I used 3 coats in my swatch for macro purposes but I would have stopped at 2 otherwise. 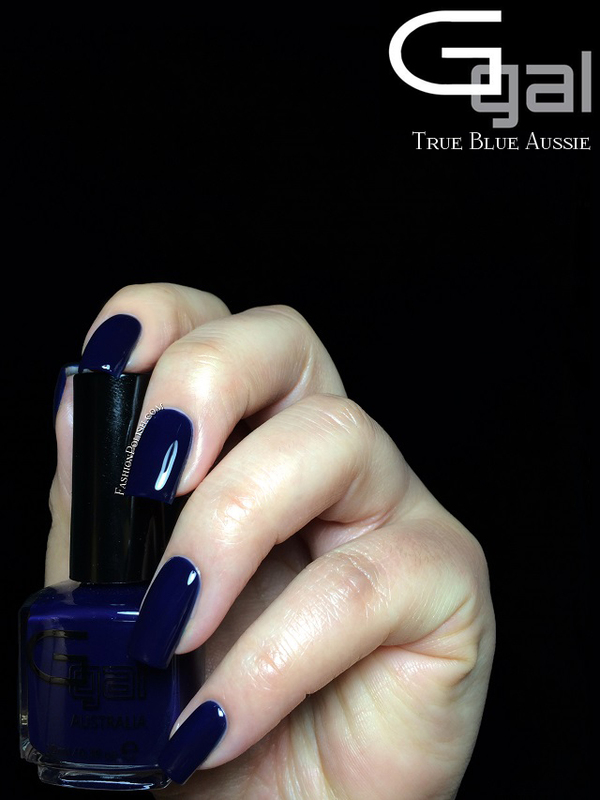 True Blue Aussie is a glossy navy blue jelly. This one also required careful application but the result is so beyond gorgeous that I don't mind at all! You're looking at 3 thin coats. And now the holo toppers! Galaxy Holo Top Coat is a clear based literally packed with scattered holo particles, drying to an almost linear effect. I used 1 single coat over Big Smoke here to try and show you the amount of particles you can get in one time but I'm sure it would look amazing with more coats. Now I must warn you, the holo is pretty much nonexistent on camera (sorry!) but believe me it's much stronger in real life. I used the new Gloss Boss topcoat on all of them and it works wonders, giving an incredible smooth and glossy finish! I definitely recommend it as well! Glitter Gal retails from $9.95 (cremes) to $11.95 (holos) each and can be purchased directly from glittergal.com.au or through etailers / local stores (full list here).